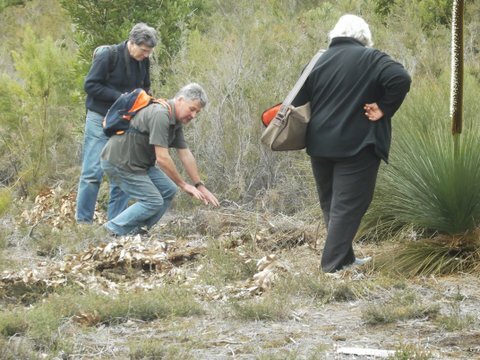 On Sunday 16 September 2012 we had the Reptile Ramble in Gellion’s Run led by Steve Darby – not any reptiles whilst we were walking! 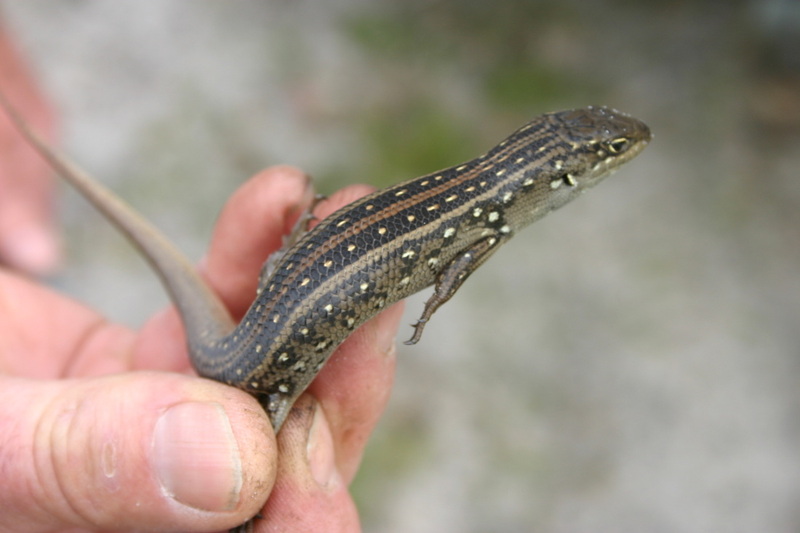 Luckily, Steve had managed to catch two different skink species earlier to show us. 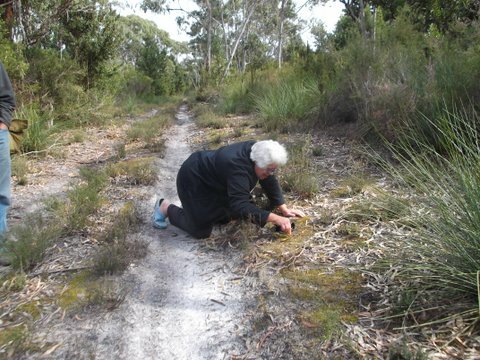 Then as we were walking Dallas spotted a red-bellied black snake nicely coiled up in the grass beside the track. We were all admiring it when our reptile expert Steve leapt upon it. Foolishly. Carelessly, we all thought, until he brought it up in his hands, still coiled and sitting on a plaster base! The rotten scoundrel had ‘’planted’’ his plaster-cast snake for us to find!! And if we hadn’t spotted it, we were in trouble from him for not being alert enough to see it. Got the hearts started anyway! Steve takes a "dive" at a likely spot where a reptile may be concealed in the underbrush. 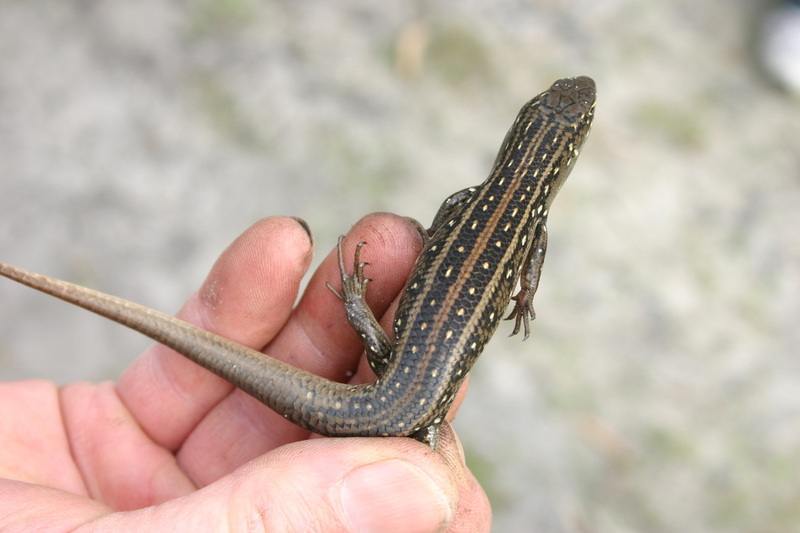 A Whites Skink which Steve caught in the area the previous day. 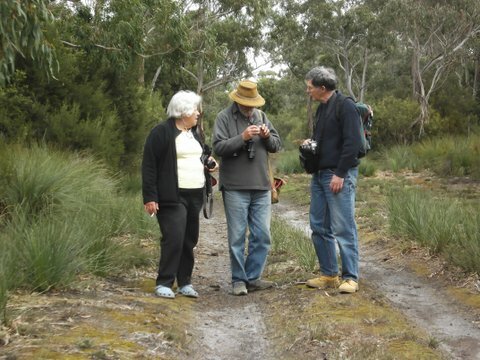 Kaye, Roy and John inspect Roy's "find" - an unidentified plant. Kay gets down and into it - a horticultural inspection!